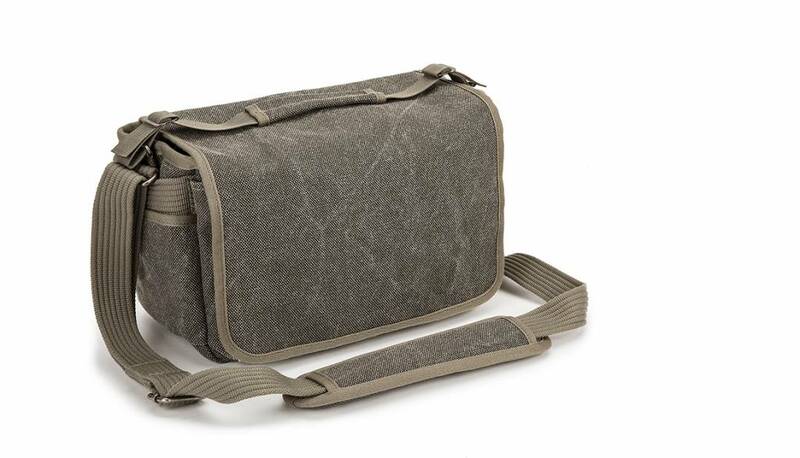 The pinestone Retrospective 10 from Think Tank is a small, discreet and simple bag designed for the photographer who carries a small system like one pro camera with a standard zoom plus 1-3 lenses. 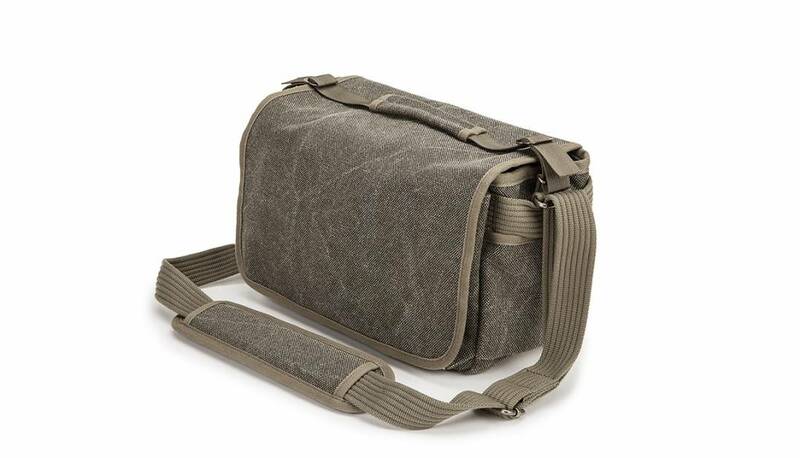 Or, it can hold a pro camera and 2-4 lenses in the main compartment. The interior dividers are customizable to accommodate the gear you carry on any given day. The large front flap covers the entire bag and prevents anyone from seeing what's inside. The hook & loop closure is unique with its Sound Silencer system that eliminate the tearing sound normally encountered when you open a camera bag. This is especially valuable when you are shooting in quiet venues like courts, wedding services or chess matches.